What will soldiers in the next few decades look like, when the world has run out of oil and is fighting over coal and gas? For once, lets forget about equipment and weapons, and ponder on the men themselves. We know that in many combat units a pareto principle is in play, whereby a handful of veteran 'aces' score the majority of the kills. It is no small problem that in a violent confrontation, most soldiers behave in a passive manner. On average, a 100 man company may have 80 men who are little more than 'an ammunition porter for the main weapons and a rear/flank security man.' Implementing stricter entry requirements and harsher training can only partially alter this ratio: After all, militarys have a manpower quota that must be met even in an era that is awash with gory war movies and memoirs. Another concern is whether or not baseline humans will be able to even participate in late 21st century conflicts. Judging from the mind numbing power of modern weaponry, this seems dubious. Over the past decades, military machines have become more and more capable, but the same cannot be said for the humans who use them. Those military theorists who have acknowledged the problems posed by a lethal, high tempo battlefield will often propose the adoption of powered exoskeletons. But even if armys could afford to give every infantryman such expensive equipment, it wouldn't provide the most bang for their buck. As we shall see, that distinction belongs to a class of humans bred to fight and die on their nations behalf. Soldiers who will rely not on articulated suits of armor, but a physiology geared towards the harsh demands of warfare. This approach is heavily dependent upon gene therapy and eugenics. The concept of a super soldier is certainly not new. Greek mythology was rich with storys about orion, achilles, and hercules. Demi-gods who lived among humans yet possessed incredible strength, speed, and durability. Many cultures that came into contact with the greeks would subsequently adopt heros with such attributes, something to serve both as inspiration and instruction for young men going to war. Armed conflict has always been a tough business with more losers than winners , but this trend has become even more pronounced since the industrial revolution. So what abilitys does the mainstream press have in mind when it comes to super soldiers? Here is one headline: 'Tomorrow's soldiers could be able to run at Olympic speeds and will be able to go for days without food or sleep, if new research into gene manipulation is successful. According to the U.S. Army's plans for the future, their soldiers will be able to carry huge weights, live off their fat stores for extended periods and even regrow limbs blown apart by bombs.' These are all good starting points, but are they really going to be sufficient in a peer vs peer conflict? Normal humans may not be able to keep up with the pace determined by their machines, forcing militarys to work under their capacitys. If this turns out to be the case, then we may need to envision a completely different kind of soldier. For instance, gunshot wounds are an all encompassing problem that can currently only be addressed through body armor and medical care. No one has devised a biological system which would allow a soldier to take a handgun or rifle round to the torso, and have a very good chance of surviving. Is such a thing achievable or desirable? Steering committees would be needed to determine what adaptations are suitable for a future soldier, and what kind of procedures could be used to attain them. Gene therapy comes in two different forms, somatic and germline. 'Somatic cells, such as skin or muscle cells, contain 23 chromosomal pairs and do not transmit genetic information to succeeding generations. Germline cells, which are the sperm and ova cells, contain 23 unpaired chromosomes and provide genetic information to offspring, as well as to the future generations descended from those offspring.' Military theorists are under the impression that we can rely on one-off somatic alterations to create super soldiers on demand, with no long-term ramifications. They have not considered the very real possibility that some of the adaptations required may be too extreme for a mature adults body to cope with. If so, then we're not looking at a genome army, but something more akin to the saiyans: A warrior race who will need to be socially and reproductively isolated from the native population. They would be born in a government facility, raised as government operatives, and may pledge allegiance to a nation that abhors their very existence. Upon reaching retirement age, these soldiers will not simply disappear: They will require large living spaces where they can settle down and procreate, so that a new generation (their children) may replace them. And what of the powers and abilitys wielded by this sub-species of human? It is known that the ancestors of modern homo sapiens originally had physical strength on par with other members of the great ape family. How strong is that? Comparative studys on chimpanzees indicate they could lift four times their own body weight overhead. Thats equivalent to a 200 lbs man military pressing 800 lbs! But at some point in time, hominids had reached an evolutionary crossroads where high intelligence and manual dexterity became increasingly more relevant for their survival. Consequentially, muscular strength eroded over hundreds of thousands of years to its current low, as detailed in numerous articles. This fact obviates the need to devise exotic methods of performance enhancement: In practise, an individual will simply be restoring the strength and speed that were native to their most distant forebears. Through the use germline engineering and in-vitro fertilisation, we may see humans returned to their former physical glory. The couples who agree to have their (unborn) children genetically enhanced to serve in the army should ideally be military veterans themselves, to ensure that they have the long term commitment required for the project to work. Once several thousand couples have been assembled, they would each need to donate sperm and ova samples to a lab, and sign a contract allowing geneticists to insert micro-chromosomes into them. Embryos with the altered genomes would then need to have their gender pre-determined as male or female, to ensure that a breeding population of metahumans can flourish: Too few females will limit the sizes of succeeding generations, but too many females will compromise the units fighting strength (presumably, since only males will be allowed to serve in front line roles). The fertilised embryo would then be implanted into the woman, and nine months later she would give birth to a child with unbelievable physical powers. Th next step in this process is even more interesting. During their early years, the children will be raised by their familys in a communal estate, owned and paid for by the government. They would grow up in an inclusive atmosphere with other metahumans for company, and an absence of extremists who might discriminate against them. From the age of 5 to 14, they will spend their summer months in a military themed camp where they become acquainted with many of the skills that will define their adulthood. At the age of 15, the soldiers were drawn together as a training battalion and shipped out to an actual base, learning to work alongside their peers and co-operate as an actual unit. During this time, they would be under the command of the army reserves. At the age of 18, the soldiers and their battalion were considered operational, and would go into active duty. This is when they were transferred to the regular armys command. Metahuman soldiers will be organised into so called shock brigades. These are tier three units which are capable of serving many different roles. In high intensity conflicts, they would form the spearhead for corps level attacks and counter-attacks, enduring in conditions that would shatter the morale of ordinary soldiers. They can establish defensive screens that depleted formations or support troops can shelter behind in times of crisis. Their physiology would also make them extremely effective in close quarters fighting so typical of urban combat. In low intensity conflicts, shock brigades can be stripped of their vehicles and heavy weaponry, and sent behind enemy lines on foot to assist special forces units. This was possible because of the soldiers great strength and skill at man packing, enabling them to carry everything they needed with only an occasional air drop to replenish ammunition, food, batterys, and spare parts. Fighting as light infantry, they can pacify environments which are inhospitable to tier two and one units. Muscular system: Metahumans have an archaic musculo-skeletal system granting them enormous physical strength, sufficient to deadlift approximately 2000 lbs, and military press well over 800 lbs. With training, they can do even more. (A normal man can press 110 to 130 lbs, while top power lifters in peak condition can triple this) Most of this performance increase comes down to complex differences in how the muscle fibers are recruited, and a mutation in the MSTN and NCOR1 gene, which regulate muscle mass. They have a vertical jump of 72 inchs, and a standing long jump of 288 inchs. Hand speed and reflexes are also improved. In addition, metahumans have enlarged adrenal glands which are connected to a set of GVA nerve fibers: With training, they can empty its contents in around 2 seconds, giving the body explosive speed at the cost of fine motor skills . The adrenal glands can also be activated in the normal manner, dumping hormones into the blood stream at a slower pace in response to stress. Dermal and circulatory system: A metahumans skin (particularly the dermis and epidermis layer) is much thicker, making them less susceptible to cuts, burns, bruises, or abrasions. Their major arteries are smaller, more numerous and more disperse, often hidden deep within the flesh for extra protection. This makes them unlikely to bleed to death from slash or stab wounds, and prevents their circulation from being cut off by ropes, chains, or other restraints. Skeletal system: Arguably the most extensive alteration made to their physiology, the skeleton is coated in a strong organic material which make it more resistant to chipping fractures and other impacts. Osteocytes in the lacunae of the bones are responsible for the breakdown and buildup of calcium. A mutation in the thyroid and osteoblasts would cause the massive absorption of calcium needed... Metahumans have what is termed a cranial ridge, basically a smooth growth of bone along the outside of the skull. The anterior ridge is part of the frontal and maxillary bones: It has an hour glass shape, extending from the top of the forehead to the base of the nose. The posterior ridge is part of the parietal bone: It has a more round profile. Small caliber bullets striking the ridge are stopped outright or deflected, although a hairline fracture will often result. In short, the bone around these regions of the skull are much thicker and devoid of dangerous shot traps. 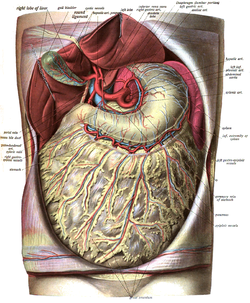 Their abdominal wall is lined with a carapace composed of yellow fibro-cartilage and red bone marrow. This structure serves two important functions with regards to gunshot wounds. First, because of the dissimilar propertys of these tissues (elasticity, viscosity, density, etc), bullets will experience a phenomenon called impedance mismatch, which prevents the formation of a temporary cavity. Second, even after the bullet penetrates the carapace, it has lost so much energy that it tends to push organs aside instead of crushing them. This arrangement is so effective that most pistol calibers cannot deliver a through and through chest wound to a metahuman. In those instances when organs are damaged enough to begin leaking blood, the carapace performs another remarkable feat: Macrophages in the putty-like marrow are able to quickly break down RBCs and recycle their materials for use elsewhere in the body, which limits the severity of internal bleeding . Although the individual can still die from exsanguination if the wound is severe enough, this is not common, since their blood clots more quickly. Minor alterations: The brain has a thicker layer of cerobrospinal fluid (a mild form of hydrocephalus), which makes them less susceptible to concussions. Their eyes have a widened fovea, giving them an enhanced field of central vision. They also have highly mobile ears, enabling them to determine the exact location of a sound more quickly. Finally, the length of their metacarpals have been equalised to create a more solid punching surface. One major advantage of the metahuman soldier program is how their genomes can be updated every generation to meet emergent battlefield demands, and take advantage of progress in biotechnology: Unlike homo sapiens, they will never become obsolete. There may be times when steering committees come up with useful adaptations that are too difficult for current technologys to implement. So even though super soldiers then in service wouldn't receive the enhancements, their children and grandchildren very well could! They are significantly heavier than a human of comparable build, since they have alot more bone and skin. Because of their abdominal carapace, metahumans are visually perceived as overweight. Most body fat is not stored on the hips or stomachs, as that would lead to excessive waistlines (it goes to the forearms and lower leg instead). 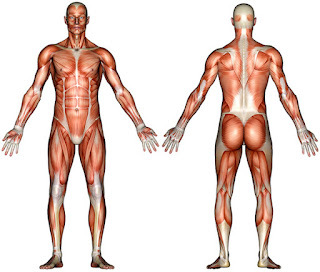 The average specimen is 5 feet 8-11 inchs tall, weighs 220-250 lbs, with a mesomorphic-endomorph body type. Metahumans will easily beat humans in short distance sprints, but not anything over 400 meters. Human physiology dictates that a runner's near-top speed cannot be maintained for more than thirty seconds or so as lactic acid builds up and leg muscles begin to be deprived of oxygen. The only long distance races they win at are events where a weighted pack is mandatory (like the army speed marchs). They would not train in any specific hand to hand combat system, mostly because their natural strength and speed enables them to quickly overwhelm a human opponent. In addition, metahumans are virtually impossible to knock unconscious, and cannot suffer broken noses or jaws. While they may be taught to execute basic strikes, even this is overkill: With homo validus, every punch is a knockout punch. This decline was already evident in our ancestors of 200,000 years ago. Compare the homo sapiens of that time to homo ergaster: The difference in skeletal robustness is obvious. Experiments showed that adrenaline increases twitch, but not tetanic force, and not rate of force development (which is necessary for fast and high power movements). Internal bleeding is serious for two reasons: The excess blood can compress organs and cause their dysfunction (as can occur in hematoma). When the bleeding does not stop spontaneously, the loss of blood will cause hemorrhagic shock, which can lead to brain damage and death. If there is pressure, it may lead to death or a brain hemorrhage.